NPR Music Slingshot Artist George Li On His 'Sensible Route' To Success : Deceptive Cadence The young musician, whose career has begun to fully blossom, charts his own course, with successful stops at the Tchaikovsky Competition and Harvard University. George Li is a young pianist on the rise. At age 10, he gave his first public concert and at 15, he won a silver medal at the revered Tchaikovsky Competition in Moscow. 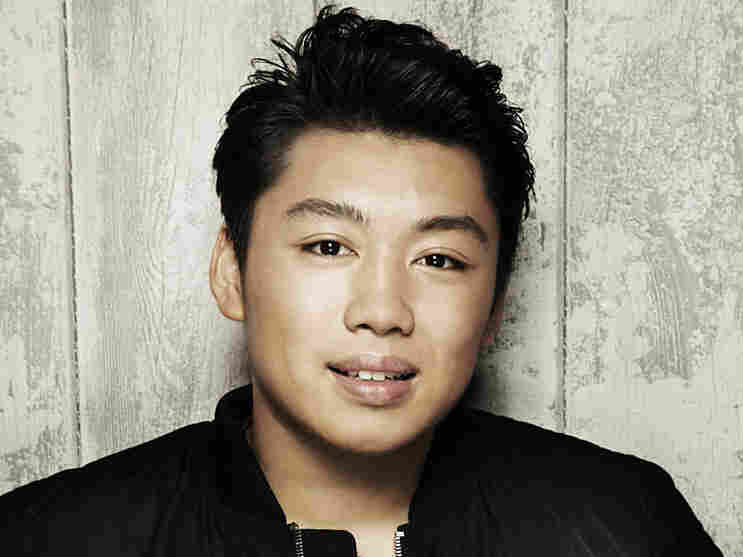 Li recently released his debut album on a major label and has been fielding offers, performing with some of the world's great orchestras. Li is 22 now, and he tells me how his day started out. With a kind of self-confident nonchalance, he sounds like a typical college student. "I got up, I guess, at around nine o'clock and then I went to class," he says. "It's an English class on gender and representation." Wait a minute. An English class when you've got a career as a concert pianist? "I think the most sensible route would have been for me to go to a conservatory somewhere," Li admits. "But I really believed that I wanted a well-rounded education." And that's where taking English classes comes in. "At one point it kind of dawned upon me how close music and literature are together," he says. "So it's helped me understand music even deeper." Li is enrolled in a hybrid program between Harvard University and the New England Conservatory. The centerpiece of Li's album is the passionate Piano Sonata No. 2 by Chopin – the one with the haunting funeral march as its third movement. Chopin is close to Li's heart, as it was Chopin's music that earned him the top prize at the Cooper Competition at Oberlin Conservatory when he was just 14. As we talk, I surprise Li with a little tape of his final round victory performance. "I can't even find that performance myself," He chuckles. But Li isn't laughing while we listen to him burn through the closing pages of Chopin's Piano Concerto No. 1. It ends with uproarious applause. "Yeah, I mean it was a very energetic performance, but I definitely feel differently about how I approach the piece now," Li admits, cringing with a little embarrassment. "I would be more refined if I played it now." But there's no cringing from critics when they hear George Li play. They're calling him "a major talent." One thing that sets him apart is that for all his "mesmerizing technique" he's not just an empty showman. His mind, they note, is well attuned to the nuances of the score. Li's album, Live at the Mariinsky, released last fall on Warner Classics, opens with the Sonata in B minor by Haydn. Li's subtle touch makes the music sparkle. "I think the main requirement is the touch. It has to be so sensitive," he says about Haydn. "Imagine the image of champagne bubbles, or just that sound when the champagne pours into the glass." Li was born near Boston. His parents came to the U.S. from China in the 1980s. He says they had few opportunities to hear classical music growing up during the Cultural Revolution. Li began playing piano at age four and thought of it only as a hobby. But one day, when he was 11, playing Beethoven's First Piano Concerto, everything changed. "All of a sudden, in the middle of the performance I felt different," he recalls. "I was kind of transported in some other reality. And I felt all these emotions within the piece and within myself." And that's when Li's light bulb switched on. "After that moment I wanted to do this for the rest of my life." Fortunately for George Li fans, that's likely to be a very long time. George Li is one of the new Slingshot artists — emerging talent, handpicked by public radio stations and NPR. Deceptive Cadence covers the world of classical music. Hosted by Tom Huizenga and Anastasia Tsioulcas, it's an open space for discussion, discovery, music listening and news. Want to know more? Read our introductory post. Have a question or comment? Contact us.